Does it Make More Sense to Buy or to Rent? "Does it make more sense to buy or to rent?" It's a question many renters ask themselves, and it's not necessarily one with a simple answer. A recent study conducted by HelloWallet and reported by U.S. News & World Report suggested that "more than half of current homeowners would have actually been better off financially by renting and investing during the particular period in which they bought," and noted the homeownership rate of people 35 and younger has fallen to just 36%, a record low. Some of that is undoubtedly due to financial necessity, but the low homeownership rate may also be motivated by a desire to stay mobile in the face of job opportunities. The HelloWallet study noted, for instance, that homeownership makes more sense for those planning to stay in a house for more than four years, with the exact number of years dependent on the area's "rent-to-price ratio." In some cases it can make financial sense to consider buying. A Bankrate.com article entitled "Answering the rent-or-buy riddle" suggests that the combination of low home prices and high (and increasing) rents in a given rental market can make it make sense for renters to think about buying a home — especially for those who want to stay in the same place. Bankrate.com offers a useful "Rent vs. Buy Calculator" which asks questions about whether you can afford a lump sum down payment, what your monthly budget is like, and whether you have an enthusiasm for doing the inevitable home maintenance projects that pop up. People shouldn't underestimate the costs of such "hidden expenses": an Investopedia article on "The Hidden Costs of Home Ownership" notes that potential homeowners should also consider the amortized costs of really big expenses like replacing a house's roof, its HVAC system, or its plumbing, along with other more routine costs like maintenance, taxes, and insurance. Renters take note: such upkeep costs may not be captured accurately in a rent vs. buy calculator! Undoubtedly a decision about whether to rent or to buy involves more than just financial concerns, but doing your financial due diligence might help you reframe the question of whether it makes more sense to buy or to rent. If your apartment has a programmable thermostat, take some time to program it with the most energy efficient settings. The ENERGY STAR website has some helpful tips for programming thermostats properly. For example, the site recommends keeping the heat at a constant low throughout the day and again at night. If your apartment's thermostat is non-programmable, you should be sure to remember to turn the heat down when you'll be asleep or you won't be home. By opening curtains, blinds, and drapes during the day, you can let sunlight in to help warm your space. Likewise, closing curtains at night can help keep cold air at bay. In the heat of summer, you can help your space remain cool by closing curtains and blinds during the day to keep out direct sunlight. While you're planning to keep your apartment home warm in the most efficient way possible, it's also worthwhile to take some time to think about other energy saving changes you could make to help lower your utility bills. Some simple ways to conserve energy include taking showers rather than baths, unplugging televisions, stereos, and other electronic devices when you're not using them, and replacing incandescent bulbs with compact fluorescent light bulbs or LED bulbs. Let's say your bicycle is stolen. Or you lose your engagement ring. Or your apartment is burglarized. Your landlord's insurance policy only covers the building, not your belongings. But if you have renters insurance, your losses would be covered in all three scenarios. Yet, only an estimated 34 percent of renters have policies. Many believe renters insurance is as expensive as, say, car insurance. But it's not, according to the National Association of Insurance Commissioners. Most policies are less than $200 per year, which is a small expense when considering the cost of replacing your belongings if you experience a loss. The website usa.gov offers resources for renters on renters insurance, including how to secure a policy, determine what type of policy would be best for you, and how to do an inventory of your possessions. For example, if you have expensive jewelry, you might want to consider adding extra coverage because a standard policy only covers jewelry up to $1,500. You can also get tips on other topics relating to renters, such as how to select a reputable moving company. Visit usa.gov for more information! If you want to move soon, look carefully and make contingency plans. In most big metro areas, it's hardest to rent from July through September: a surge of student and new graduate rentals means you might pay as much as 3% above the yearly average. Things get easier in October, with November and December being the easiest months; few people want to move right before the holidays. 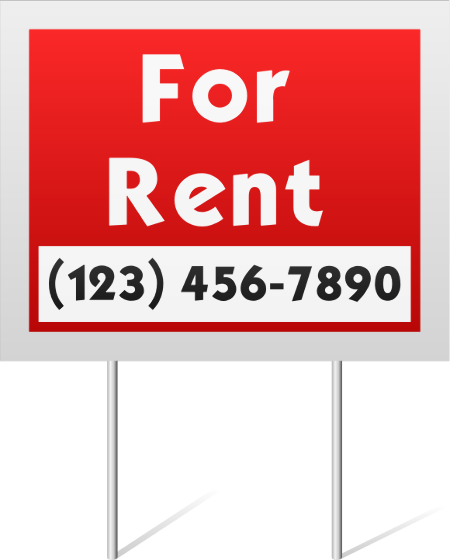 If you can't find the right apartment this summer or get squeezed by prices, try asking your landlord to tack on an extra 1-3 months. Many are happy to negotiate. Didn't work? Hit the listings hard mornings (9-11 am) in the first and last weeks of the month. The former guarantees variety, while the latter often results in bargains. Got moving questions? Ask us. How Healthy Is Your Air Conditioner? It's June. Walk down the street and you can already hear the hum of air conditioners. Some are — forgive us — cool customers, making people happy without killing their wallets. Others will make you poor and sick. The difference? Filters. It's easier to circulate air through a clean filter, of course — and do you really want your AC unit forcing dust, pet dander, and other nasty things back into your apartment? If you live alone with no pets, changing the filter every 6-12 months is sufficient. But if you have several roommates, at least one dog/cat, or allergies/asthma, every 45-90 days might be in order. If the unit is yours, learn how to check the filter. If it's your landlord's responsibility, ask her. Because the money you spend on tissues and Sudafed is much better spent on beer. It's move-in day. You're sweating. The van is running outside. Your cat is nowhere to be found. The fridge contains half a bottle of Yoo-hoo and a block of cheese. You sit with your PROPERTY MANAGER. She has a lot of papers. PROPERTY MANAGER: . . . page 6b, local ordinance against wearing green on Friday . . .
PROPERTY MANAGER: They're trying to repeal it. Initial there. PROPERTY MANAGER: Now page 6c, fines associated with attempting to recycle yogurt cartons . . .
YOU: Could we do this tomorrow? YOU: I'll come to your office at 9 a.m. I, uh, just have a lot on my mind right now. I'll understand everything better then. There's a lot to do on move-in day, so call ahead to request your rental documents in advance. Go through them at your leisure, make note of your questions, then sign. When you hand in the lease, tell your property manager that you'd like to stop by the office for a chat. A quiet, methodical trip through the details benefits you both: there's no stress or misunderstanding later! There are exceptions to this rule: if Gregorian chants blast at all hours or you can hear an army of ferrets scuttling around it might be best to leave them alone. But you have a lovely, skilled property manager — you signed with her, right? — so we're willing to bet the neighbors are nice people. It's never too early. Knock on move in day; introduce yourself, perhaps the cat. Remind them that if they need anything you're a few feet away. It's that simple. It'll work to your advantage when you need someone to, say, pick up a package. And when your neighbor gets a case of good beer one might come your way. Say hello and do unto others. Common sense, perhaps, but worth repeating. If you’re short on outdoor space, that doesn’t mean you have to forgo the pleasure and enjoyment of gardening – it just means you have to get a little creative! Below are five tips that will help you cultivate a thriving container garden on your balcony or patio. Before you go out and buy plants, notice how much sun and/or shade your outdoor space gets. This will help you purchase the right plants for your setting. Container gardens need to be watered more frequently than traditional gardens. To check if your plants need water, press your finger into the dirt, if it sticks to your finger, the plant has adequate water, if it doesn’t, water it! Use a potting mix that has real soil in it – preferably a mix of topsoil and compost. Plant everything in light colored pots. Dark pots retain heat and can scorch the roots, especially if your outdoor space gets a lot of direct sun. If you’re hoping to grow vegetables and fruit, choose plants that produce a lot for the size of plant, such as peas, beans, tomatoes, or plants that grow quickly after cutting like salad greens such as lettuce, arugula, chard, and kale.